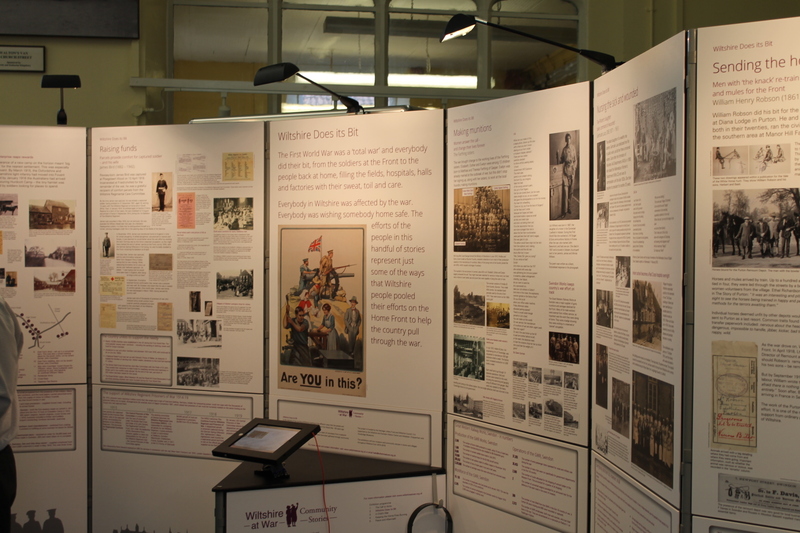 The second of five exhibitions in the Wiltshire at War: Community Stories project has opened. The exhibition, Wiltshire Does its Bit, was launched at Mere Museum on Friday September 24. The exhibition was created with input not only from local museums and history groups, but also from the community itself. Involvement from the county’s older generation has been instrumental in capturing colourful stories, with those in day centres and at luncheon clubs contributing a rich patchwork of family and village memories, and also working with professional poet, Dawn Gorman, to write community poems based on images of local people during World War One. Part of the Wiltshire Does its Bit exhibition in Mere, including the integral iPad on which visitors can listen to recordings of Wiltshire people sharing WWI memories passed down through their families. Those attending the launch event on September 25th included members of the Wednesday Group from Steeple Langford. Many in their late 80s, they have clear memories of their parents’ involvement in the war. 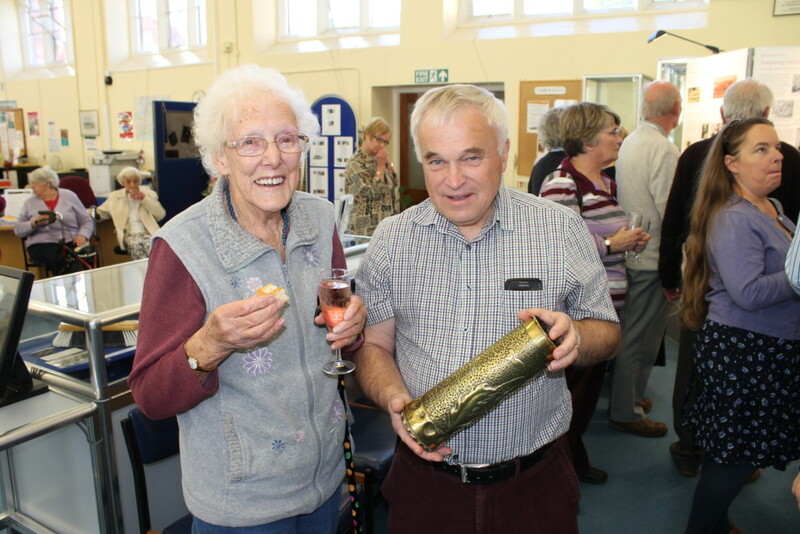 One member, Margaret Dimmer, who is 90 in October, brought to the launch event a brass WWI shell case, ornately decorated with flowers, which belonged to her father. Steeple Langford Wednesday Group member Margaret Dimmer, 89, shows her father’s decorated shell case to Brett Norris, Chairman of Mere Town Council. Stories included in the exhibition include how one family’s small, jam-making business in Easterton on Salisbury Plain expanded beyond all recognition when 30,000 Canadian troops descended on the village; how one Salisbury woman spearheaded the county’s vital use of women for farm work, and how one man and his sons in Purton changed the fate of ‘difficult’ horses destined for the Front. Horses bound for the Purton Remount Depot. 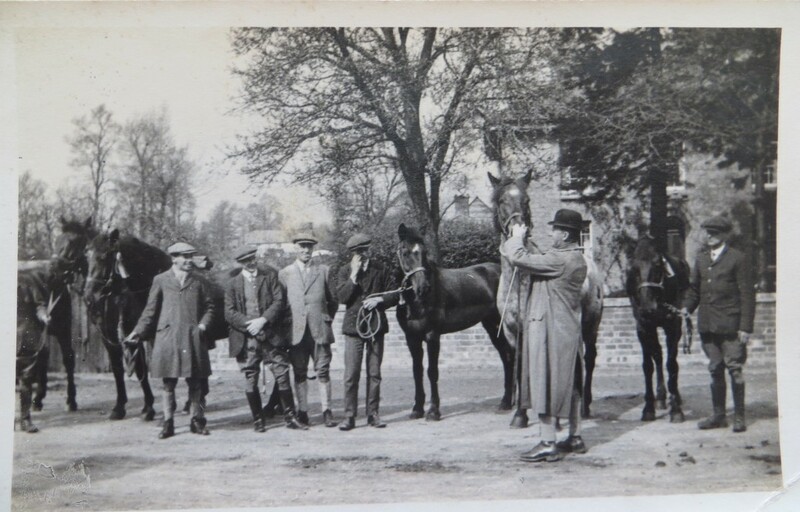 The man with the bowler hat is probably William Robson, who had a gift for retraining ‘problem’ horses for service at the Front. Brett Norris, Chairman, Mere Town Council, spoke at the meeting on behalf of Wiltshire County Councillor George Jeans. He said: “I am delighted that Mere library/museum has been selected to host the exhibition until November. On behalf of the people of Mere I would like to thank the Wiltshire at War: Community Stories project for the exhibition. I would also like to thank the members of the Mere museum for the tireless work they do. Mere museum is a jewel in Mere’s crown and we are very proud of it. 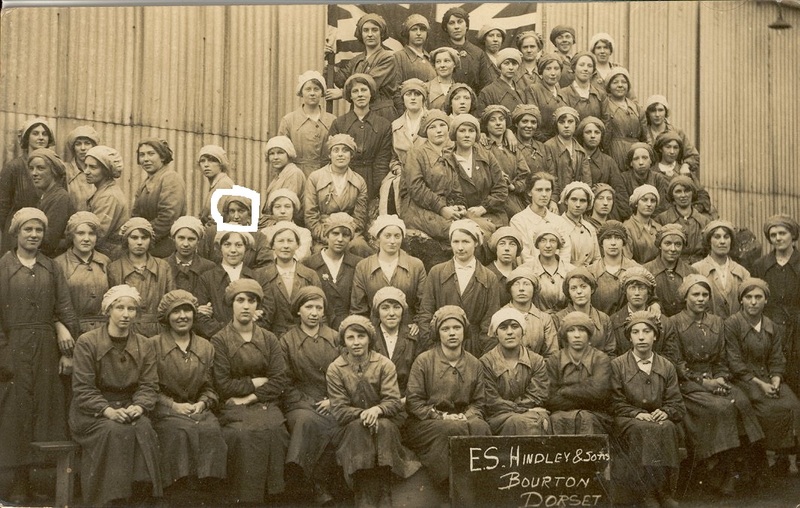 Hindley & Sons foundry, Bourton, near Mere, with Brett Norris’s grandmother, Gertrude Lily Markey, circled. Hindley & Sons foundry, Bourton, near Mere, made Mills bombs, the standard hand grenade used by the army from 1915. The women workers were known as the ‘Mills bomb girls’. The exhibition continues at Mere Museum until November 7th, after which it is available for hire, free of charge, to community groups in the county. Please call the Wiltshire and Swindon History Centre for details on 01249 705500.